The 76th Golden Globes Awards ceremony took place last night. As expected with award show in recent times, there were suppose winners and losers, which added to the flavor of the event. Below is the full list of nominee and wondered for each category. 2018 has been a very interesting year at the box-office; several old records broken and new ones made. In this year, we saw movies that sprung up important, long side-lined conversations with rich cultural importance, like the groundbreaking ‘Black Panther’ and ‘Crazy Rich Asians’ where both movies had majority of their casts from their eponymous races, finally addressed. In this same year, we had several low budget movies, like ‘A Quiet Place’ and ‘Blindspotting’ and indie movies like ‘Upgrade’ give us something new in terms of how movies should be made. All these for the betterment of the movie industry. Below is my list of movies that struck, irrespective of genre or professional critics’ opinions. PS: 2018 has a lot of great movies, it was tough limiting them to ten that really got to me. I apologize in advance if your favorite(s) don’t make the list. Do air your grievance in the comment box. What’s not to love about this coming of age movie that talks about forbidden love? The writing, pacing and acting makes this a beautiful watch. You can’t help but get immersed in the protagonist quest to find Blue, who could be the love of his life. I loved everything about STEM; the badass artificial intelligence chip with a mind of its own. I’m still sad it went rogue; but if there’s ever a sequel, you can count I’ll be there on opening night. I can only imagine the technicality that was required to visually tell this story. I still can’t wrap my head around the fact that I watched a movie that was told through a display screen, from start-to-finish. And you’re wondering why it made my list. Amandla Sternberg is a star, the world had better watch out for her ‘cos she hasn’t come to play. This year’s a good one for power couple John Krasinski and Emily Blunt. Together, they use their off-screen chemistry and brawn to bring us something new and beautiful, for which we’re eternally grateful. Few years back, no one would’ve believed a movie with an entirely Asian cast would appeal to the whole world. But that’s what happened here with Crazy Rich Asian. Do you remember that wedding scene? We still grateful, Elvis Presley. Chris Hemsworth continues to impress me with his acting. After seeing him in this movie as Billy Lee, I’m less worried about what his post-Thor career would look like. Just before I unveil my top three, I’d list to list some honorable mentions. Please note that they’re in no particular order. This movie sprung up conversations at every corner of this part of the world. I’m sure we’ll still be asked ‘who was right, Mel or Robert?’ in the new year. Asides the publicity it garnered, nothing about this movie is supposed to be heard as the years go by. Tom Cruise’s stunts continue to rise in the ranks of death-defying. Did you catch that horse c*ck sock? I wish I lived in Atlantis. It’s so beautiful. Spielberg is still the greatest of all times. Who would’ve thought an animated movie could be so interesting? Let me tell you a secret. Before Blindspotting, I’d never heard of Daveed Diggs. But after watching this masterpiece, I’ll be following his career nonstop. Around this time last year, my most prominent mantra was “Thanos is coming”. Thanos did come, and made sure he turned half the population into dust before he left. It’s a good thing our remaining heroes still won’t go down without a fight. The Endgame is here. I saw a lot of movies this year and it’s only fitting I liked some more than others, doesn’t mean those not mentioned are bad movies. As I said earlier, I’d like to know your thoughts in the comment box. Staring: Fionna Whitehead, Tom Hardy, Kenneth Branagh, Harry Styles, et al. Produced by Christopher Nolan, this is one movie I can confidently call beautiful 👧. The cinematography 📷 was topnotch. Though confusing 😕, it successfully passes it’s message across to those with patience and an open-mind. 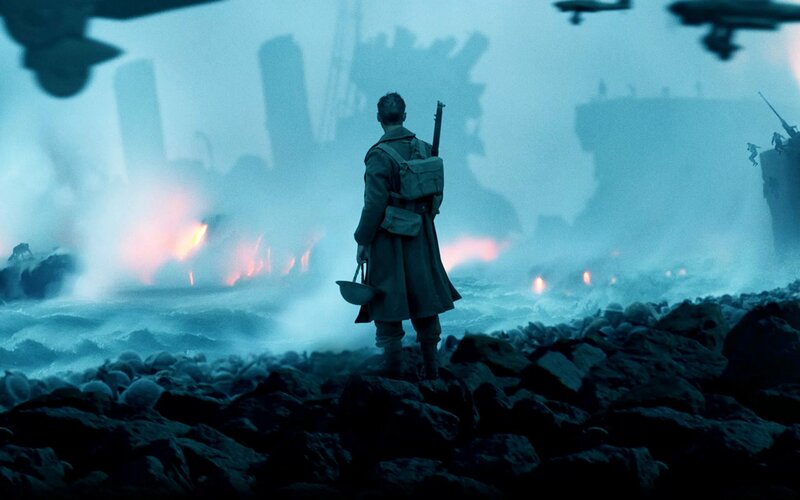 ‘Dunkirk’ isn’t your conventional movie, so don’t be surprised if twenty minutes in you still don’t understand what is happening. The movie stars 🌟 film favorite Tom Hardy (even though he doesn’t do much talking and spends the entirety of the behind inside an airplane ✈ behind a face-mask) and also marks One-Direction’s Harry Styles’movie debut. So, if you’re a fan of any of these two powerhouses you should check out the movie based on celebrity power bias, 😁. Staring: Daniel Kaluuya, Allison Williams, Bradley Whitford, et al. After watching ‘Get Out’ (2017) nothing scared me like going to the home of parents of any girl I’d love to marry. The psychotherapy thing with the teacup was so scary 😱. 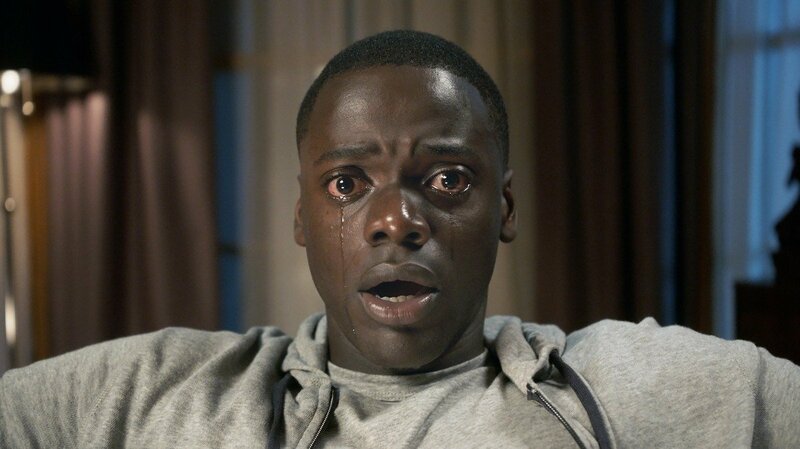 Though a low budget movie, ‘Get Out’is has made so much money and won so much fans, it’s been regarded as one of the best movies of 2017. Yep, you’re unheard me right. So, get eager to watch this movie. One thing I love about it is the right blend of themes of horror, comedy, racism, etc. It’s one of the few projects in existence to have a rare blend of perfection. The performances of the cast are topnotch, lead Daniel Kaluunya will get you feeling sympathy when you see those big, red, teary eyes, 😁 (or 😢). Whatever the case, I’m sure you’ll love him. Starring: Jake Gyllenhaal, Rebecca Ferguson, Ryan Reynolds, etc. Life is a horror movie intertwined in SciFi, beautifully done, and should be remembered whenever the name Calvin is mentioned – RR. I enjoyed watching ‘Life’. It was beautiful. The villain, Calvin, was beautiful. The worst things in life aren’t human (pun very much intended). This movie questions if humans are actually ready foe the existence of other forms of life outside earth as much as we claim to be. Deep space missions are commissioned on a regular, in real life, to identify the existence of something living outside planet earth. In Life, such existence is confirmed on planet Mars – the result is a cannibalistic life form that grows as much as it feeds, its name is Calvin. Calvin wastes no time showing his true nature; he’s smart, calculative, and hungry. Of the six crew members aboard, he made sure the only one that made it back to earth was his ride to the planet with unlimited opportunities. Very smart! 1. There wasn’t enough Ryan Reynolds! Ryan was killed just as the action was starting. Ryan can do no wrong on a screen. Why do I like seeing Ryan on screen? . I do not know. I think HBO, the money boosters, need to run a show and cast Ryan as the lead. There’s nothing like too much Ryan Reynolds. Nothing! 2. The ending! I wanted a very big twist. One where I’d be told there were two Calvin all along – the one that was brought on board and the one that festered on Hugh’s leg all along. This would have given me joy, but I’m good with what I waka given. Jumanji is getting a reboot! Yes, you heard it. The popular movie we grew up with is been rebooted to meet with the standards of the new world. Personally, I do not really like the idea of a reboot, but as I’m open-minded, I ‘m willing to give it a short. The trailer tried its best to sensitize the public, but we can only fully gauge their like or dislike when the movies gets out. Release Date: October 24, 2017. Starring: Keanu Reeves, Ian McShane, Bridget Regan, Adrainne Palicki, etc. Movie producers realize when they have a hit at hand, and most times they don’t know. John Wick is one of those times they didn’t. A sleeper hit in its own right… John has done well for himself. Starring many power houses in its cast such as lead, Keanu Reeves, and veteran, Ian McShane helped the execution of this usual story in an unusual way. Yes, I said usual story; a man going to great lengths to avenge a wrong done against him is something we see almost everyday, but if the reason for his anger is the death of a dog and robbery of his car then something is off. In the course of his mission, John does kill lots of people, this is worrisome looking at it with the eyes of realism, but in terms of action, it does make an entertaining watch. OK! Let’s get started. Who is John Wick? No killing on the premises of various hotels around the world regarded as continental grounds. The first of this rule drives the story-line of this movie. John’s late wife set him a posthumous gift, a puppy. The stupid son of a Russian gangster breaks into John’s home, kills his puppy, and robs his car because John refused earlier in the day to sell it to him when they met at a fuel-station. John, feeling he has been robbed of the last part of his wife goes after Losef Tarasov (the son of the Russian boss). John meets up with Viggo Tarasov (the Russian boss) and states the first rule to him. Obviously, this confrontation doesn’t go well and as expected lots of shoot-outs up until Viggo has no choice but to choose between himself and his son. I don’t know if it’s to show he understand the laws or just cowardice to stand up for his son, I had a problem with it. John succeeded in killing Josef, which naturally further angered Viggo who in retaliation killed Marcus (another Assasin who betrayed him to help John. Played by William Dafoe). Marcus’ death angered John who was on his way out of the city to return for Viggo. At this point I must introduce McShane’s character, Winston. Winston acts a mentor to John, and runs one of the Continental Grounds. As a father figure, Winston helps keep John in check as well as offer small tips to stay in the loophole of the laws of their profession. One of the ways was killing a female assassin who worked with Viggo for breaking rule number 2. He also gave John hints on where to find an escaping Viggo. John found and killed Viggo. At the end of the movie, John got another dog and rode off into the sunset to continue with his retirement having avenged his late wife’s memory. John Wick is a very interesting movie, one deserving of the accolades it’s got. Watch out for RR’s review of John Wick 2 tomorrow.